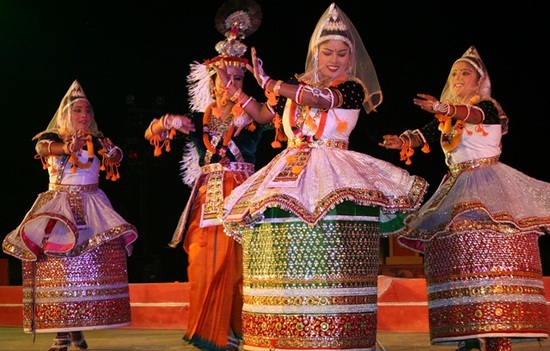 The classical dance form of the north-eastern state of Manipur, India, is known as Manipuri. 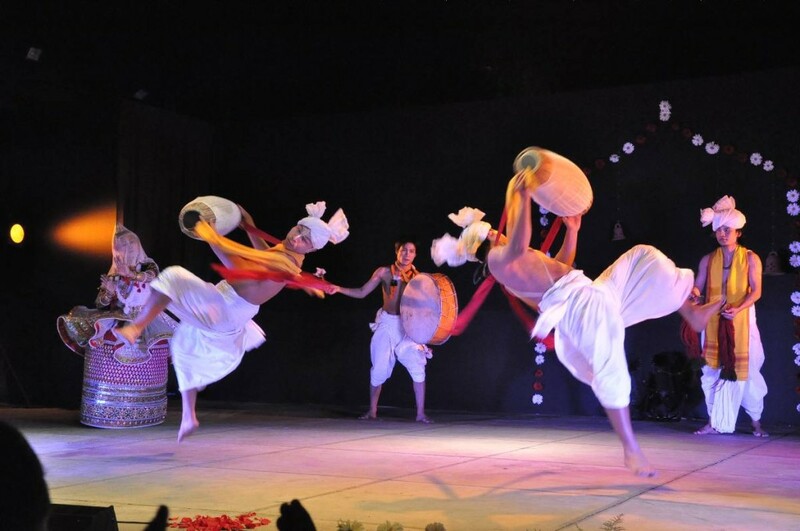 The cultural dance form springs from an exciting history and forms a vital component of Manipuri culture as a whole. Though its performance in terms of theme is very varied, but religious and devotional themes are very much in dominance. 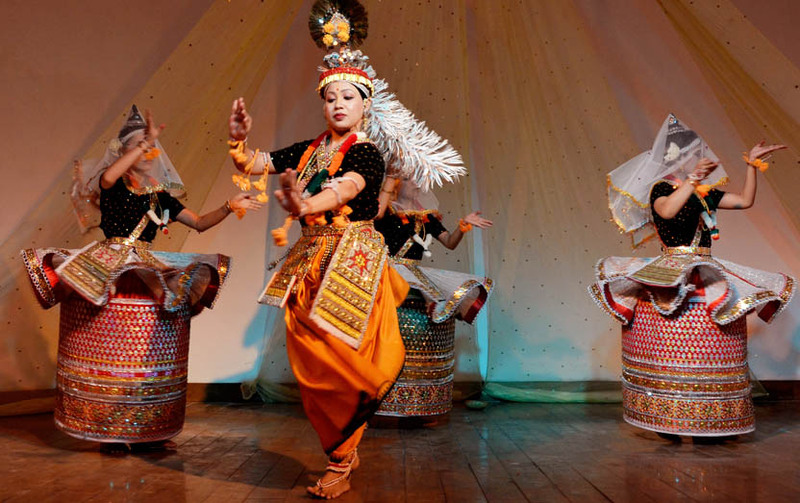 The term Manipuri actually acts as an umbrella terms for a variety of dance forms presented across Manipur. Raslila and Pung Cholom are the dominant dance forms of the Manipuri dance style. Let us first know about the history of Manipuri. In the second century the great patron, King Khuyoi Tompok who is famous for his taste in arts and aesthetics is credited to have developed Manipuri as a dance form. But the present form of Manipuri seems to have developed after the influence of the cult of Vaishnavism around 15th century AD. Since then a number of kings including King Kyamba, Khagemba, and Chairairangaba, are said to have facilitated the dance form to acquire its contemporary relevance. However, it was only under the King Bhagyachandra in the 18th century that a real appreciation of Manipuri dance styles could finally happen. Manipuri comprises of many sub-dance forms and styles each with its own distinct set of moves and styles. Some of the famous forms are the Pung Cholom, Ras Lila, Thoibi and Nupa Cholom. Ras Lila is basically performed in devotion to Krishna and enacts themes related to the relation between Krishna and the Gopis. The performance of Raslila happens in a special place known as the Nat Mandap. Another very popular form is Pung cholam which is basically a dance form presented as a prelude to Raslila. The special attraction of this dance form lies in the use of Manipuri Mridang, a drum particularly designed for the enactment of this dance. Both women and men participate along with some acrobatic stunts to provide excitement to the spectators. Another important dance form related to one of the dominant tribes in Manipur is the Maibi dance of the Maitie tribe. This mysterious dance form embodies the cosmogony of the Meiti tribe. Apart from these, dance forms like Khamba Thoibi are famous for their enactment of the love affairs between two hostile tribes. 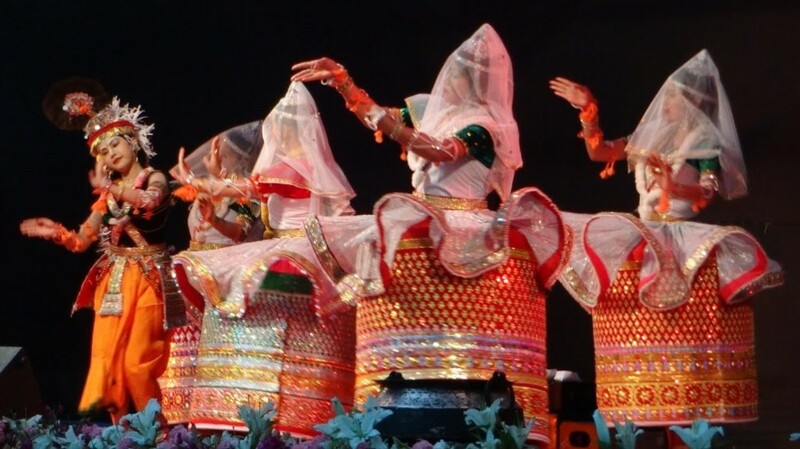 Music forms the essential component of Manipur dance styles. Unlike the north or south Indian classical dance form where music instruments are secondary to the dance, Manipuri tradition places them as par with the dance form. Instruments like Manipuri Mridang, Pung, and Kartal etc. are used by the dancers themselves. Bansuri, Conch, Pena, and harmonium are some other instruments dominantly used along with the dance. The songs on which the dance forms are enacted are derived from the great heritage of poets ranging as far as Sanskritic, Brijbhasha and Maithili traditions. Manipuri dance forms are an exciting combination of skilful manoeuvre and smart employment of energy to produce the mesmerizing effect of joy and pleasure. Manipuri is not just a dance form but carries a long cultural heritage in its performance.